EARNEST INSTRUMENTS began in 1976. The name was originally inspired by an old Regal Octophone, brought in for repair, that a customer had named, Earnest. I copied the dimensions, built a similar instrument, and EARNEST INSTRUMENTS was born. As the name implies, these are serious instruments, capable of expressing the artistry and technical proficiency of any musician. I began building instruments in 1973. I studied woodworking at the Shelburne Craft School and at Rochester Institute of Technology with noted cabinetmaker, James Krenov. 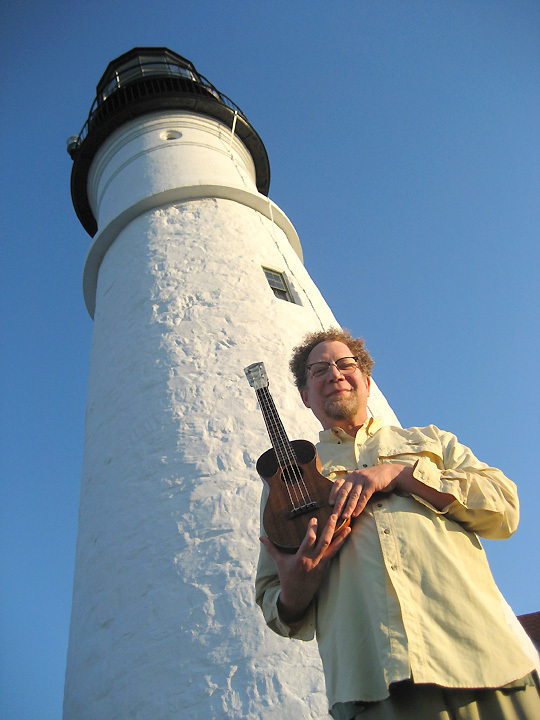 I apprenticed at the Tourin Musica, in Duxbury, VT, with harpsichord and viol maker, Peter Tourin, and built my first EARNEST mandolin at the Augusta Heritage Arts Workshop, in Elkins, WV. I opened a shop in 1976, and have been playing, teaching, designing, building, and repairing string instruments ever since. Additional woodworking experience includes boat building and repair, home renovation, nickelodeon construction, whirligig design and production, fine furniture and cabinetmaking with Gregg Lipton Design, and production guitarmaking with Dana Bourgeois Guitars. I have a degree in vocational education and taught woodworking at Maine College of Art for 13 years. I have guided several lutherie interns, and taught a “freeform” uke making course at Penland School of Crafts. In 2018, I built my 500th instrument and decided that it might be time to retire. I still have a few more instruments that I’d like to build, and some beautiful wood that has yet to be used. I’m interested in doing more custom instruments and less of the production models that are still listed on this site, for historical reference. Contact me directly with your ideas and interests, and to see what I might have in stock. I also have numerous vintage tenor guitars and other vintage instruments for sale.